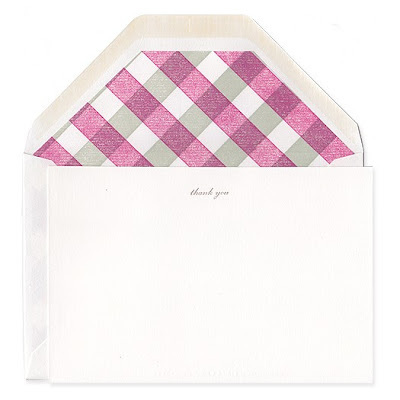 Gingham letterpressed envelope liners with simple Thank You cards. Found at Stripe & Field, also available in Mustard and Blue. 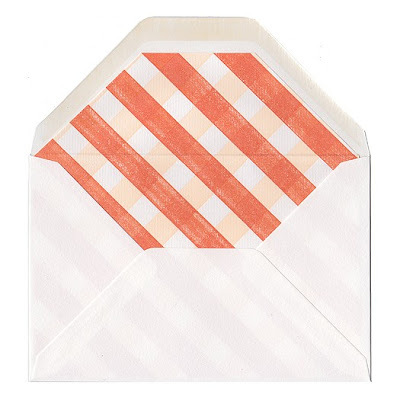 Spotted on eat drink chic.